Has anybody tried these type of displays? It's not terribly expensive. Ok, mine is on it's way aswell. 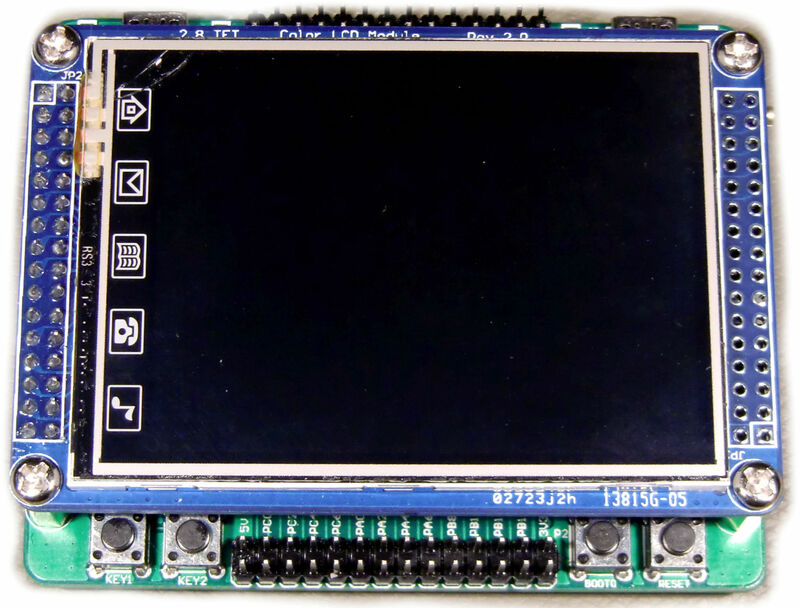 Here is a blog about cell phone displays attached to microcontrollers - seems like a nice alternative, e.g. for channel strip info, with some of these displays being dirt cheap and really good quality. I received mine as well. I knew about the sd-card. I wonder which way to hook it up is fastest: 8-bit,16-bit or SPI. Well, guess it's trail and error. It seems SPI is out of the question. As first of all jumper wise i can only choose 8 or 16 bit. And besides it looks like the sdcard uses the spi interface already. It doesn't even look like the other configuration pins are available anywhere on the board to force SPI mode. The other problem is that because of the shortage of I/O on the CORE32, J15 goes via the 74HC595 so reading registers/memory 'from' the LCD is also out of the question which does limit certain things, for example I was hoping to be able to use the LCD controllers buffer memory to save having a screen buffer on the STM32. The downside with this is that anything above 2-3 bit colour is pretty much out of the question. I haven't quite got the display connected yet (hopefully this weekend) ! Ah, i didn't think of that. I was indeed hoping to use the buffer on the controller. I haven't hooked it up either. Might do on the weekend though. A couple of weekends have passed. But only today i had a chance to look into it. Currently figuring out how to hook this thing up. Firstly trying to do 8bit parallel. The unused DB[8:0] pins must be tied to either Vcc or AGND. The driver also mentions a nRstPin and a Lcd_LightPin. So i am assuming nRESET and LE EN need to be hookup as well. nRESET i assume should be either high or left floating. EN should probably be high, so the backlight will be on (always). I have this Display and Controller here. I was loaded with a demo uCOS, and some more. Also, it has 4-wire Touchpanel and the 8 bit and 16 bit option. I also tried to implement this to midibox, but i will try this later, when i learn bit more about the system. First i can let you see, a lot of things, that i became. 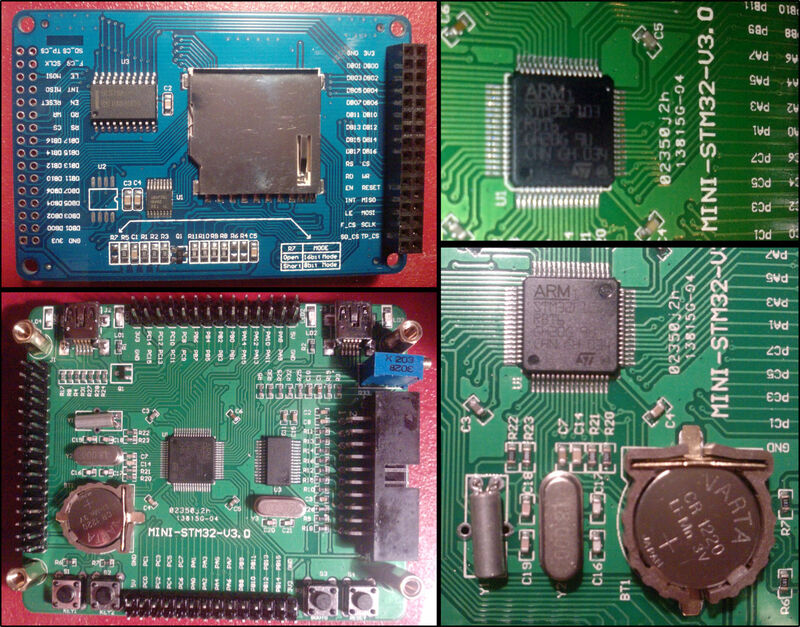 I have a folder, that contains a Rtos Demo for this Board. If someone want to look into the files. i can send it. There are to many file to attach. When it helps, have fun. I have wrote the folder name to filename, because i canÂ´t upload a folder. Mainfolder -> "SRC_" -> Subfolder -> "SRC_LCD"
Looks very similar to the code i have here (not my own). 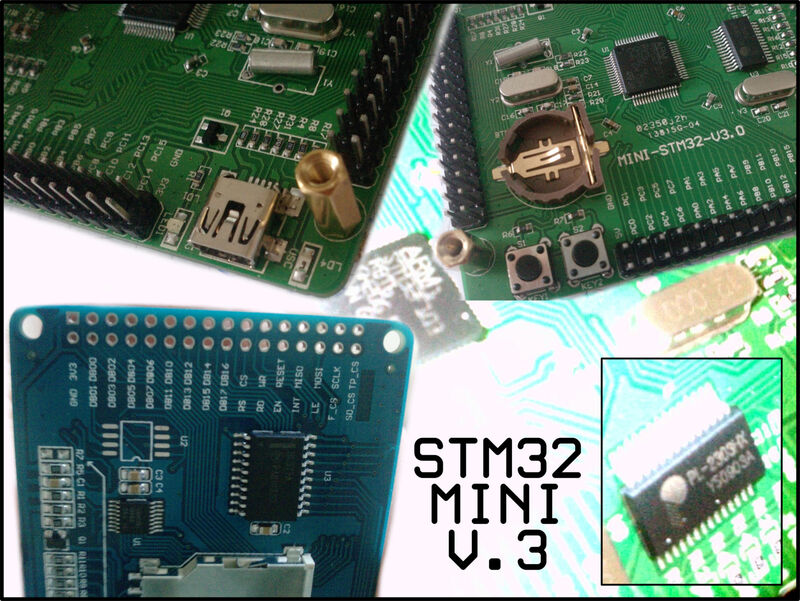 I have an eval board based on a STM32 103VE. I want to try the display on it. However i need to wait for the delivery of my jtag adapter. The biggest problem with this display is that in 8 bit mode it requires 2 way communication with the CPU to be useful as the CPU does not have enough RAM to maintain a reasonable screen buffer. Unfortunately both the CORE32 and LPC_CORE32 use a 74HC595 to interface with the LCD which doesn't allow bi-directional comms. Yeah i came to the same conclusion a while back. The CORE32 is not a good option if you want to drive this. And no, my version doesn't include the SPI function either. But my eval board does not have the limitations of the 74HC595. It has a dedicated 40pin LCD connector on the board. And another 40 pin connector for other I/O. So i want to see if i can get this working with MIOS32.